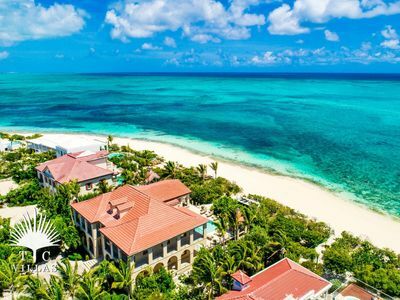 Villa Renaissance has just been voted #4 of Top 25 Hotels-Caribbean by for 2019! 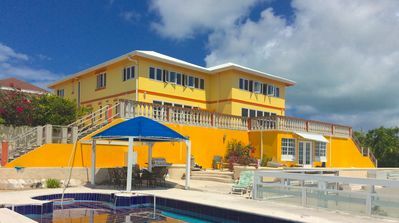 The stylish and elegant 2,000 sq ft beachfront 2 bedroom, 2 1/2 bathroom deluxe condominium is located on the 3rd Floor of Villa Renaissance. Our unit is a a little larger than most - offering you and your family a little more space. This suite can be rented as a one bedroom or a two bedroom as desired. 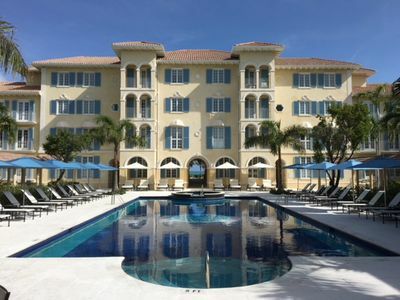 This stylish, third floor, 2-bedroom deluxe condominium, at Villa Renaissance is the perfect spot for family vacations. 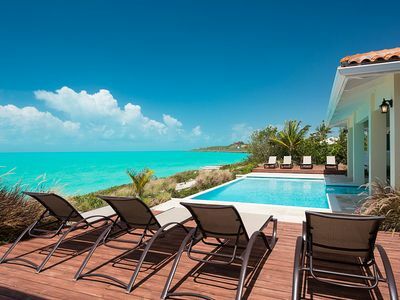 Beautifully furnished and fully equipped, the suite is just steps away from the turquoise ocean and Grace Bay beach, voted best beach in the world by Condé Nast and #2 by . 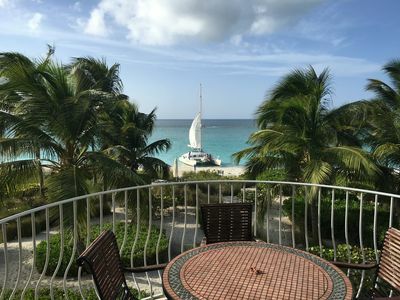 Our guests have spectacular views from their own large and private balcony. 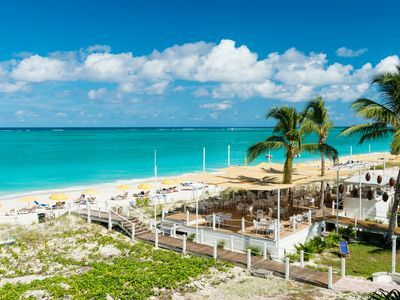 Grace Bay beach is spectacular, we love to sit on our balcony and take breakfast in the morning watching the world go by. The décor reflects a high degree of sophistication and design. Throughout the suite you will find travertine marble floors and tiles. 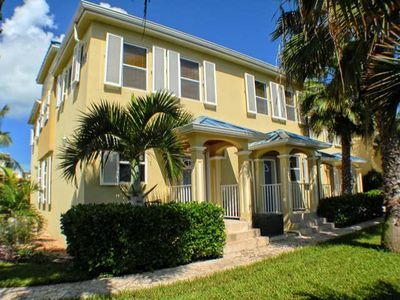 There is a fully equipped kitchen with granite countertops, breakfast bar and stainless steel appliances, separate dining and living areas, washer and dryer (iron and ironing board), and a beautiful and spacious patio/balcony overlooking the ocean. Overlooking the sapphire and turquoise oceans and powder white soft stand, it is just wonderful to think that you can get away from it all. 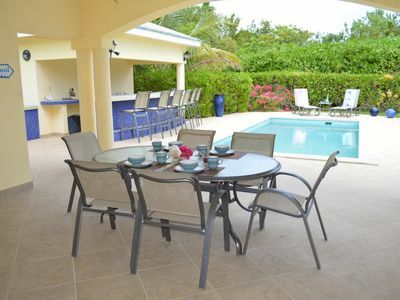 For an elegant, private and peaceful vacation, Villa Renaissance is perfect. 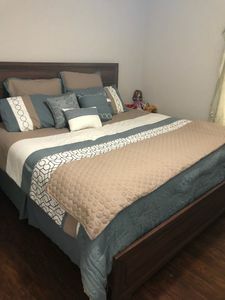 The Master en suite bedroom has a king size bed, with the second bedroom also set out as a king. Both bathrooms are en-suite, with the extra space coming in the form of an additional powder room. Master bath has a bathtub and shower, illuminated mirrors, hairdryer and a double vanity. 2nd bathroom features a walk-in shower, illuminated mirrors, hairdryer and vanity. Rates are displayed in USD. A 3-night deposit secures your reservation. 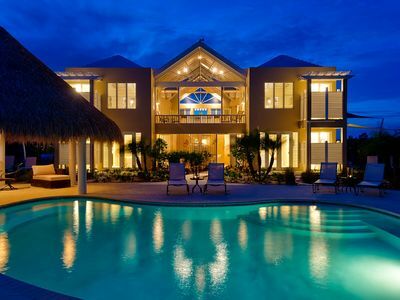 This is due when the reservation is made and is refundable, provided written cancellation is received at Villa Renaissance 30 days prior to the arrival date. Thereafter your deposit is forfeited to cover any cancelled or altered nights; 7 days prior to arrival the balance will be charged. Exception: Christmas and New Years holiday period (Dec. 18-Jan 2)-7 night minimum stay, 3 night deposit, full payment due by 10/1, cancellation no later than 9/30. Due to our small size cancellations affect us significantly. 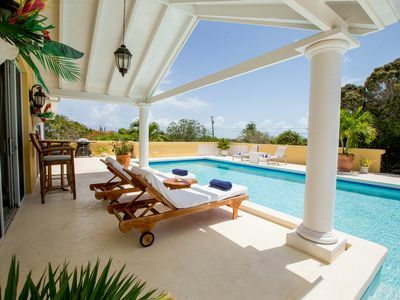 Villa Renaissance is a romantic and private condotel inspired by Italian architecture. 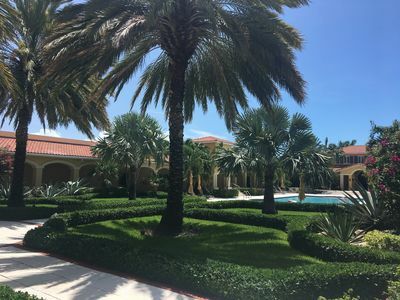 It has a large mosaic pool with a cooling whirlpool surrounded by lush Caribbean vegetation, a small air-conditioned fitness center, Teona Spa on site, floodlit tennis court. After ten years in operation we have won 's Luxury Travelers Choice award for three years and received a 3 diamond rating from AAA. Next door you will find The Regent Village. Known locally as â? ?the heart of Provo you will discover duty free, numerous restaurants, small bars and lots of shops. Graceway Gourmet supermarket is only a short 10 minute walk away. 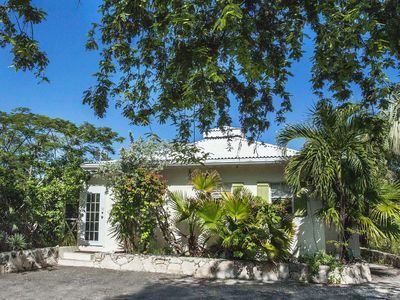 We will even stock your villa with groceries prior to your arrival (nominal fee required). 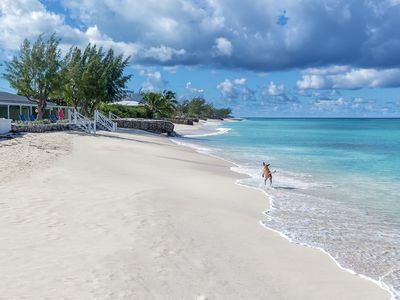 A short walk along our boardwalk brings you onto the powder-soft sand of award winning Grace Bay Beach, and the sapphire and turquoise waters. 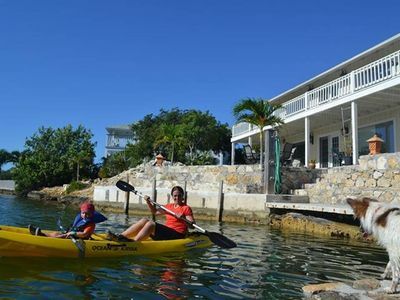 Numerous motorsports and non-motorized water-sports (such as paddle boarding , Kayaks or hobie cats), daily excursions, romantic secluded boat trips and more are available on Grace Bay. 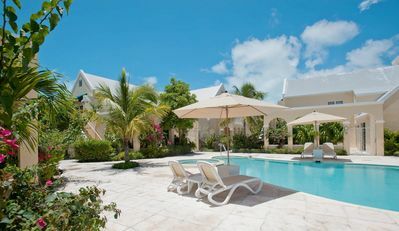 The mosaic pool is a great place to swim, or relax beside the Caribbean gardens. Flood lit tennis is on site, and golf nearby. Water and electricity are precious commodities when on Island. 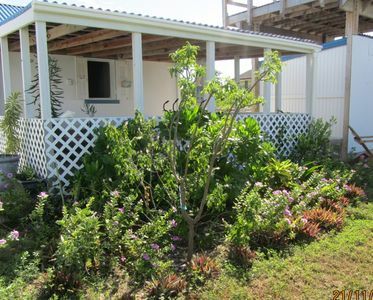 Vila Renaissance is striving to be green and environmentally friendly. Please be considerate in your use of beach towels, and turn off air conditioning and lights when not required or in use. We all should strive to conserve as much as possible while not compromising our comfort. 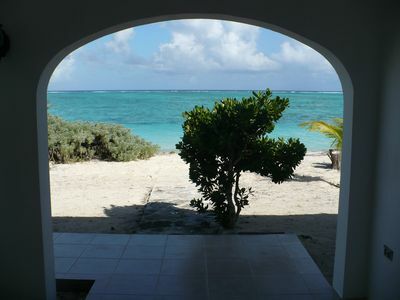 Enjoy the natural beauty of our island paradise and let us all help preserve it. 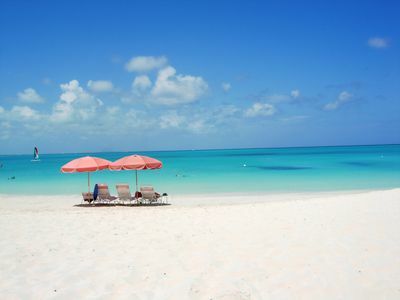 Beautiful Grace Bay Oceanfront Three Bedroom Condo!